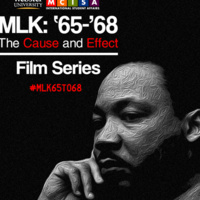 In support of the MLK 65' to 68' Film Series, we are putting a critical lens on how food played a pivotal role in the American Civil Rights movement. The food itself wasn't only a vital part of fueling the action, but the locations and people running these establishments were crucial in providing sustenance and safe places for the leaders in the fight for racial equality. We here at Sodexho, in collaboration with the Multicultural Center of International Student Affairs, will be providing food items reminiscent of those found on the menu at three historical locations: Big Apple Inn (Jackson, MS), Paschal's (Atlanta, GA), and Dooky Chase's (New Orleans, LA) and a bit of history for a side.